What does it mean to follow Jesus, for those who were Jesus’ friends in this story, and for us today? We are in the heart of Mark’s gospel; Jesus and the disciples are on a journey that will end in Jerusalem, the place where Jesus is killed. Jesus has told the disciples once already, this is the second time Jesus says to them that he will be killed, and the third time Jesus tells them is further along the path. Every time Jesus and those who were following him pass through Galilee, we are alerted that Jesus is trying to teach them something, and us as well. They are on a journey of discovery, and as they journey Jesus tries very hard to keep them away from the crowds who are beginning to amass, so that Jesus can care for them. So lets take a look at a couple of important details in these few verses. First, Jesus is to be betrayed. The gospel writer Mark is rather harsh; we know that because we’ve been reading this story for some time now. Mark writes that Jesus will be betrayed into human hands, and that Jesus suffers at the hands of the Jewish elders, those who were powerful, and maybe even considered great. And secondly, further down the road, Jesus hears his friends bickering, and finds out they are arguing about who of them is the greatest. As way of illustration, Jesus picks up the child and teaches them about greatness, about welcoming, about what it means to be a follower. Now you all know that this sounds crazy. Children had no power, no greatness. Children were of no account. Oh, of course, their parents loved them, but they had no rights, no influence, no standing. They were utterly dependent, utterly vulnerable, utterly powerless. So how could caring for a child count as greatness? It’s crazy. The trouble is that it seems we haven’t changed much in all these years. We’re still wondering about what constitutes greatness. Is greatness measured by power and wealth? Is greatness measured by the ability to control people? Is greatness about being first so that others may be last? We hear this definition of greatness pretty consistently by some leadership in government and business. Is greatness measured by where one sits at the table? Is greatness measured by winning and losing? Is greatness measured by fame? Is greatness a competition? Is the person who wins the game, the football game, the tennis game, the basketball game, great? Is the person who wins the bachelor’s heart, or the amazing race, or America’s got talent, great? What if we stop defining greatness like all of that, and start measuring greatness like Jesus shows us? What if we imagined that greatness wasn’t about power and wealth and fame and all the rest, but instead we measured greatness by how much we share with others, how much we take care of others, how much we love others, how much we serve others. What kind of world would we live in? Can you imagine if people were regularly trying to out-do each other in their deeds of kindness and service? If there were nationally broadcast competitions to see who was willing to be last so that others could go first? If there were reality TV shows that followed people around as they tried to help as many people as possible? What kind of world would we live in? I don’t know about you, but I think it would be a pretty great world. The definition of greatness Jesus offers seems crazy initially because it is so completely, utterly counter-cultural. Jesus calls us to imagine that true greatness lies in service by taking care of those who are most vulnerable – those with little influence or power, those the culture is most likely to ignore. And what if this is what it means to follow Jesus? True greatness, is vulnerability. True greatness, is foolishness. True greatness, looks to the world like loss. Jesus looks to the world like loss. Jesus says he will be betrayed, and killed, and rise again. And in doing that, Jesus transforms the world; Jesus transforms us. Jesus shows us that in God’s kingdom, letting go is freedom, and greatness is in service to the ones God loves. Jesus shows us that those whom society throws away, are brought to the center of God’s love and life. Those who welcome a child, welcome me. Jesus does not say, those who welcome those in power, welcome me. Jesus does not say, those who welcome the wealthy, welcome me. Jesus does not say, those who welcome only those who look like me, welcome me. Jesus says, greatness is measured by welcoming the one who has no power, serving the one who is on the fringes, healing the one who is hurt. What if this became the measure of greatness in not only our church lives, but also our social lives and our community lives? What if this became the measure of greatness in our government? What if we share the love that wins to change the rules, so that those on the margins are brought into the fullness of the community. What if we share the love that wins in service to the broken hearted. What if we share the love that wins in service to those who have been kicked out, not listened to, or shamed for their truth. What if we took Jesus seriously? “Whoever wants to be first must be last of all and servant of all.” What if we approached our neighbors with kindness and generosity, trusting that each and every life, each and every story is precious in God’s sight? I believe greatness is in vulnerability, greatness is in giving, greatness is in gratitude. We’ve been talking about intentionality in practice. That following Jesus is about what we do each day, each hour, each moment. 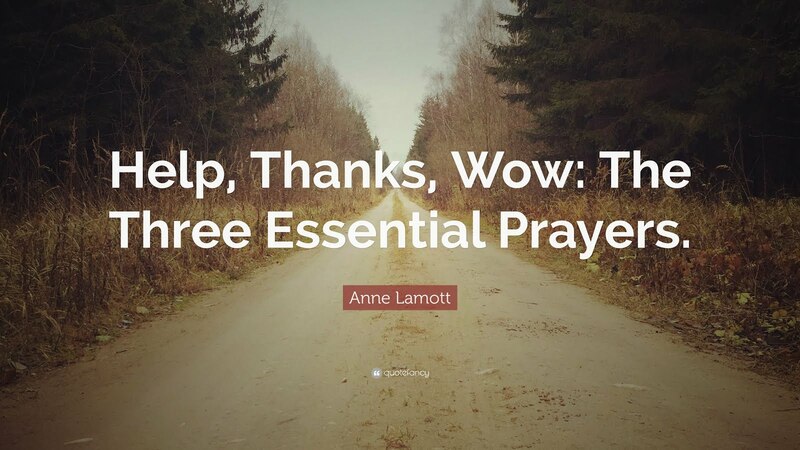 Three things I leave with you today a practice that comes from the wisdom of Ann LaMott. 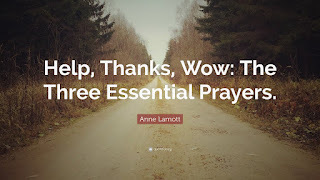 Three prayers, Help, Thanks, Wow. Lord, help. In our time of desperation, in our time of need, help us to follow you, to see you, to hear you. Lord, thank you, all that I am, all that I have is not mine, but yours. Wow, this creation is amazing.